We make an effective design diligently, with attention to detail, we also perform professional analysis and testing. Only qualitative programming is not enough to gain results, an intuitive UI / UX must be designed. The competitive advantage of your web project is users convenience. 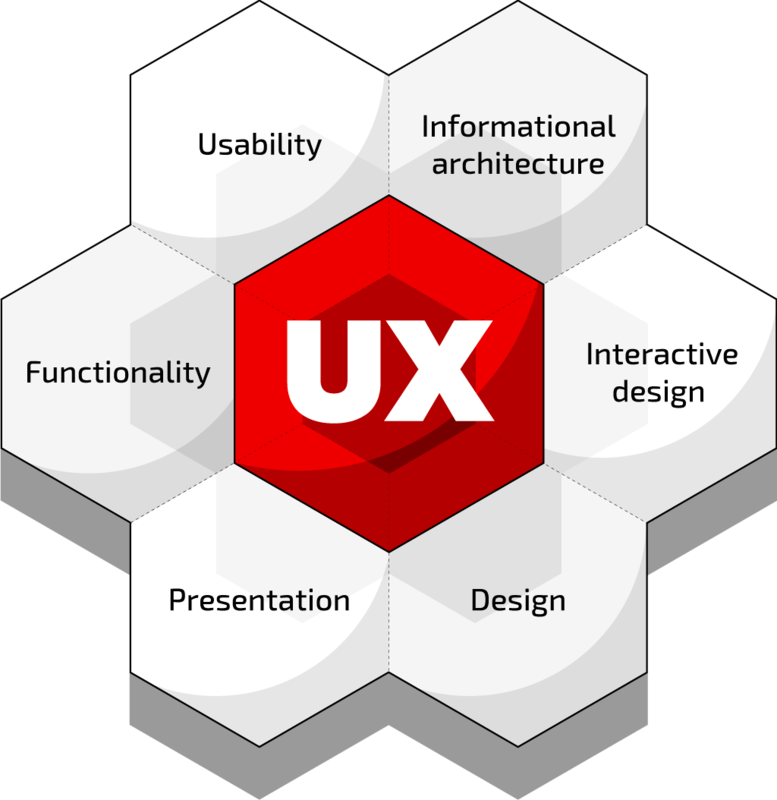 UX design (abbreviated from “user experience”) suggests an execution of a set of measures needed to achieve the desired goal in designing for user experience. When developing a website, the main objective is to achieve UX design in a final result. The convenience of working and a clear interface structure on your website decrease bounce rates, increase the average time spent on the website, significantly improving website conversion rates and also positively influencing the organic search rate. The process of lead generation through a website is tightly connected with unique design solution, well-thought user flow, clear interface, properly selected accents and CTAs. Interface analysis is based on statistics of visitors transitions between pages, their reactions to certain elements, pageviews of certain visual parts of the website, map of clicks including the accidental ones. Instead of making assumptions we can do split testing of the proposed changes to provide you only with proven results. When it comes to UI design (abbreviated from “user interface”), it is one of key UX components that comprises a wide range of graphically edited technical elements. UI design is meant to help users and website interaction. Main features of UI design: grouping, organization, alignment and common style of the interface components as well as the free space on the page. Why should you order UI design from GWS? Numerous portfolio cases of usable and efficient UI design. Evaluation of UI/UX of your website is a very important process of projecting visitors’ interactions with the website. They key is to reach a perfect balance between UI & UX that turns your website into a much more powerful tool that increases the loyalty of your customers. © 2002- 2019 Goldweb Solutions.